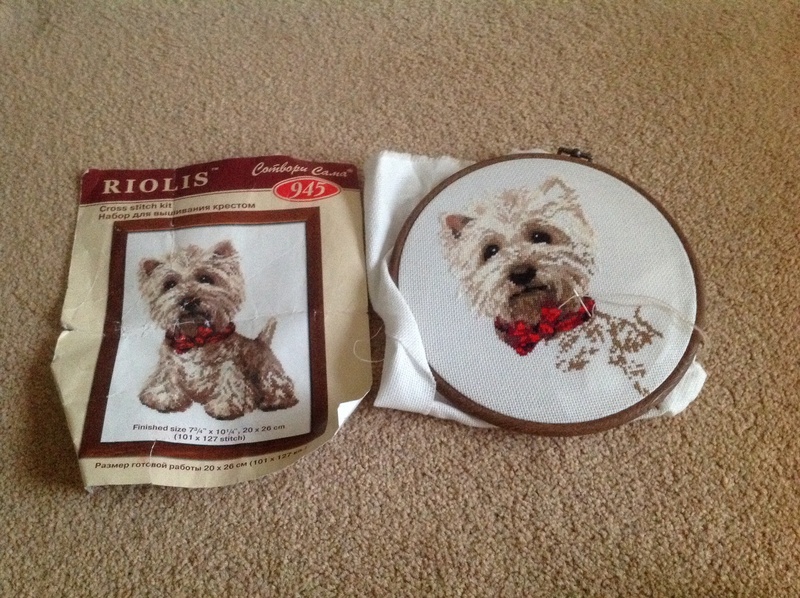 I think I started this cross stitch in January 2013, but it could have been before then. 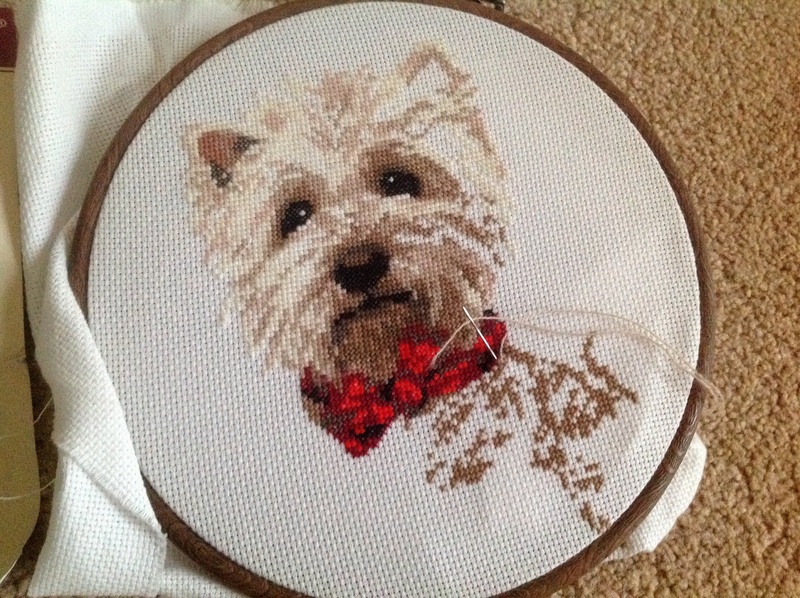 It’s for my grandmother, who loves West Highland Terriers. It’s her birthday in December, so I thought I’d have plenty of time to finish it and get it framed for her birthday last year … However, I got rather waylaid knitting little booties for friends’ babies born last summer and then knitting a blanket for my own baby. I’d love to finish this in time for her birthday, or Christmas, this year. I do find cross stitch time consuming though.